My life is changed because of these children. "I went on a mission trip to the Dominican Republic. 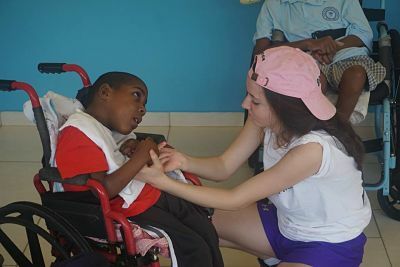 To see children with such disabilities is heartbreaking. But what is truly impactful is the fact that these kids are the happiest people I have ever met in my life and probably happier than those I will ever meet. The smiles, joy and laughter radiates in the environment at Mustard Seed. "